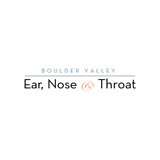 Boulder Valley Ear, Nose & Throat Assoc. (Boulder) - Book Appointment Online! Boulder Valley Ear, Nose and Throat Associates, has a long history of providing highly effective care and building trusted relationships. Serving Boulder County for over 35 years, we've grown from one physician to the largest privately owned ENT practice in the region. Boulder Valley ENT is now comprised of four specialists, and twelve mid-level providers all dedicated to effectively meeting your specific needs. Whether you require information about General Ear, Nose and Throat issues, Audiology, Hearing Aids, Allergies, Facial Plastics, Aesthetics, and Throat disorder. We have exceptional dedicated medical professionals waiting to care for you.